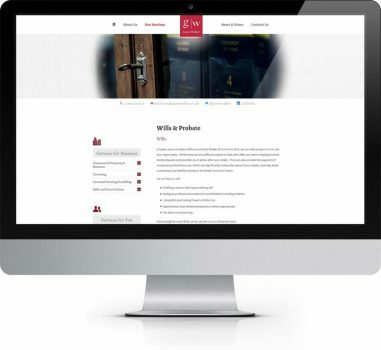 Based in the heart of York Guest Walker solicitors offer a trusted personal legal service. 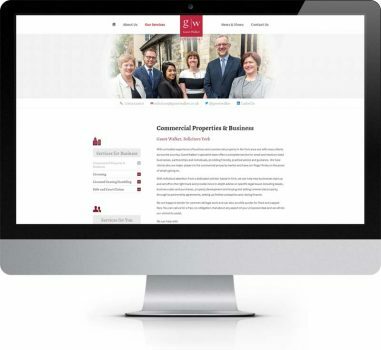 Since1981 their lawyers have been providing specialist knowledge in property law, conveyancing, business advice, wills and probate, licensing, debt and court claims. 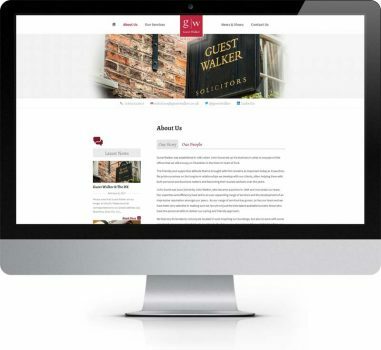 Guest Walker came to The Cybermill to organise a website redesign as their current website no longer reflected their brand. 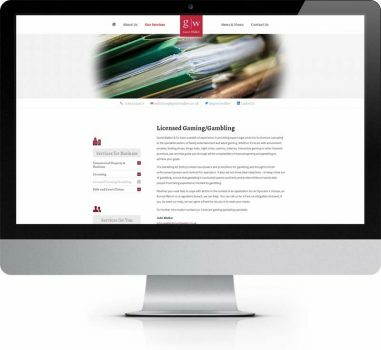 The new website would be clean and professional whilst maintaining a friendly and approachable feel. 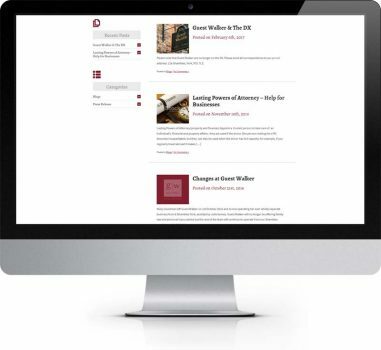 The site needed to showcase the type of work that Guest Walker undertakes and also provide helpful information and insights through an integrated blog. 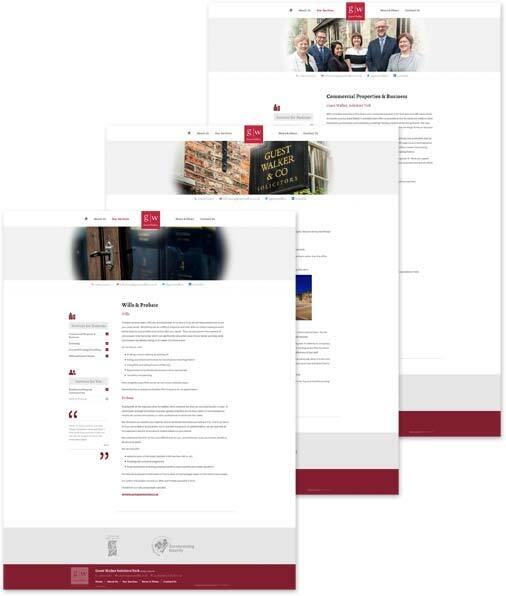 As per the brief we created a clean, crisp and professional design, whilst still maintaining that friendly approachable feel. 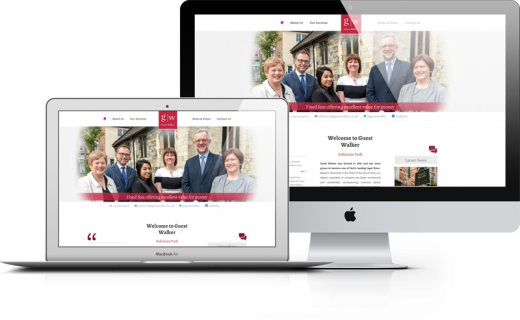 The site uses a white background with plenty of breathing space, ‘white space’ is used by web designers for a number of reasons, it improves legibility and helps to make the content easy to digest, as well as lead the visitor through the website. ‘White space’ is also used to help set the tone, a website with more ‘white space’ will look more professional and expensive than a site that crams something in to every bit of available space. Of course ‘white space’ isn’t always white, designers use this term when talking about negative space, space which has no content, it can be any colour you like but on Guest Walker’s site it so happens to be white. To compliment the logo and carry the brand throughout the website we have used the red from the logo throughout the site as a call to action colour. A slightly darker red compliments this as an icon and link colour. Shades of grey have been used throughout the site to compliment this. 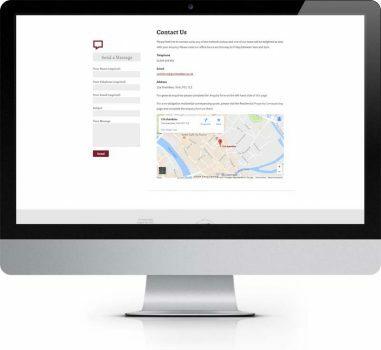 As well as helping to identify the different areas of the website the icons help bring a friendly feel to the site. 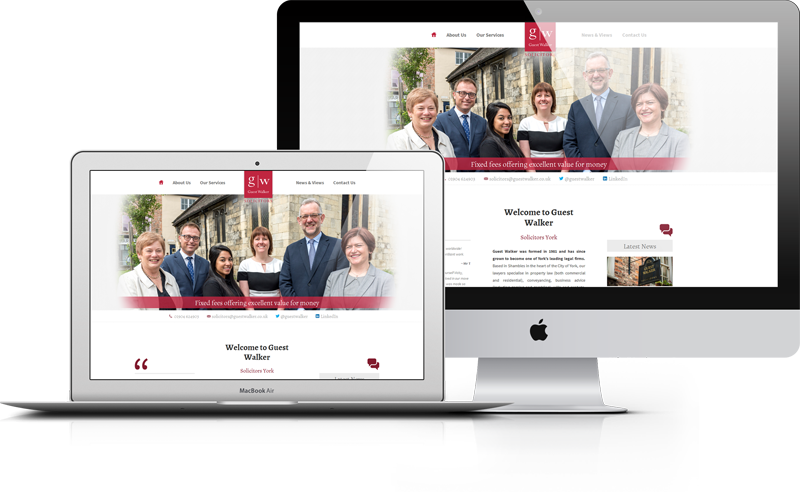 Photographs play a key part in the design of this site with the home page showing a large central slide show and each individual page having a banner image at the top. Images also help set the tone of a website so choosing the right images is crucial. Guest Walker employed a professional photographer to take images of themselves and of their premises. A professional photographer can make a great difference to the image used on a site, they know how to get the best from a person or a scene. The images used of Guest Walker help add a great deal to the professional friendly approachable feel they were wanting to achieve, to add to this we have softened the hard edges of the images of the photographs. 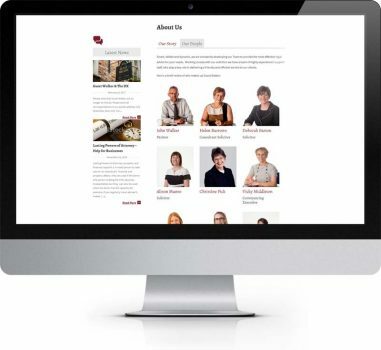 The ‘Our People’ tab shows a photo, name and job title for each staff member, clicking on the image or job title opens us a pop up which gives more information on each individual including their contact information. As the site is built around the WordPress content management system adding new staff members is easily done by Guest Walker themselves. 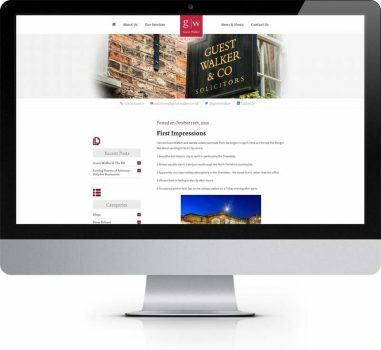 We really enjoyed working on the Guest Walker site and have seen the website move onto page one in Google’s search engine results page for Guest Walkers desired search term since the site was launched and completing our full search engine optimisation service on the website.